YES! beautiful, calm, and peaceful are the perfect words to describe the video. Did it remind anybody else of that Black Mirror episode? San Junipero? Queen of spaceX, NASA, smiling and making her fans have intergalactic experiences during her concerts. A true masterpiece. 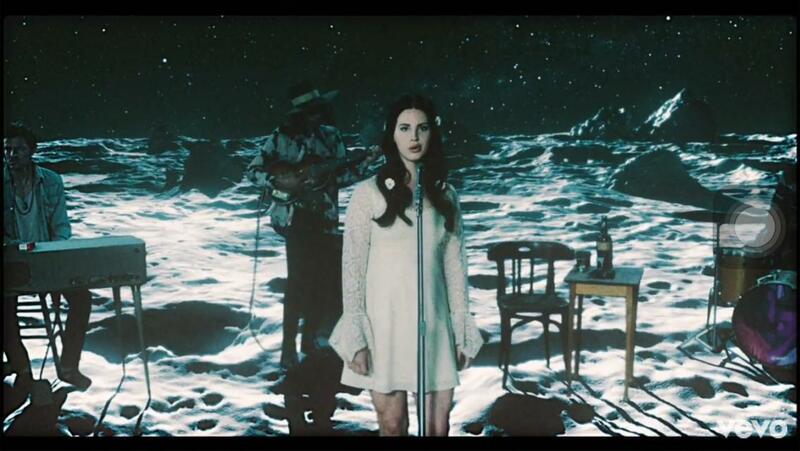 It deserves a place among Lana's best videos for sure. It's a simple concept yet the execution is phenomenal in every way, especially the space FX. Perhaps I would've liked a more impressive beginning given the grandness of the video but oh well. She looks stunning and happy too, and that is remarkable. Where is Anne's meltdown ? Also, I feel the video+song are a match made in heaven. Her best video since Blue Jeans for me. It's just incredible and I'm still shaking. What kind of youthful space empress teas?